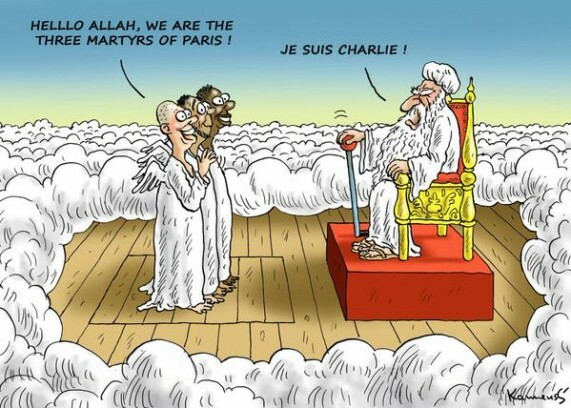 Je suis Charlie – Unfortunately, I have no idea who created this brilliant cartoon. Sorry for not being able to tell you who is the author of this brilliant cartoon. Anyway, he did an outstanding job!